A STRONG domestic and export price outlook for faba beans, and eastern Australia’s continuing cereal deficit, are colouring farmers’ preliminary planting intentions for the upcoming winter crop, where chickpeas will struggle to get a look-in. This is based on two consecutive years of largely disappointing yields for chickpeas due to dry conditions and frost, and an export-dependent market where the world’s biggest customer, India, has shut the gate on imported chickpeas as it ploughs through its own crop. Australian Grain Export pulse trader Will Alexander said India’s and Pakistan’s rabi (winter) pulse crop now being harvested could be down markedly on its previous crop, which could rekindle their buying of Australian pulses, but this was not expected in the short term. “Right now, it doesn’t look that great,” Mr Alexander said. “It’s at $700 a tonne for chickpeas, and it’s at that level because no one wants to sell them. Faba beans appear to have the best market prospects for growers interested in planting pulses this year. Mr Alexander said faba beans were bid at more than $1000/t at South Australian sites, but supply had all but disappeared after the recent harvest, where reduced area and dry conditions in New South Wales especially cut the crop to a low of recent years. 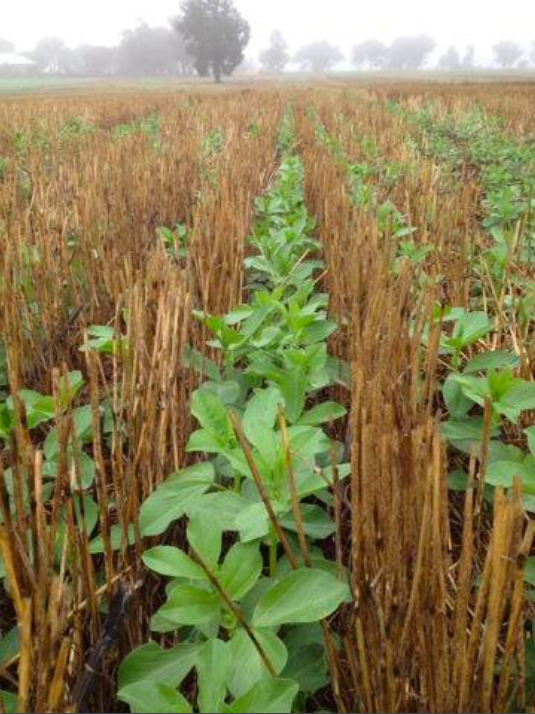 New-crop faba beans have yet to start trading. Pulse Australia board member and former AGT Foods Australia chief executive officer Peter Wilson said growers should keep in mind that the high prices which current-crop had traded at may not last if European production lifts. Mr Wilson said faba bean prices got down to as low as $200/t in 2016, when the economy of the world’s major faba-bean importer, Egypt, was floundering. Based on export and eastern Australia’s drought demand, prices got to $800-$900/t this harvest. “If someone popped out a price at $700/t or $800/t, farmers might sell forward on new-crop, but we need to remember it might drop back to $350/t or $400/t. “People shouldn’t be seeding based on the idea of decile nine pricing, especially when the UK and the Baltic States could be major competition for us. Norco Grain Tamworth-based trader Simon McDougall said faba beans met limited demand in Australia’s 2016-17 marketing year, and for 2017-18 they weren’t even on the rotation plan for the Liverpool Plains and North West New South Wales as a result. He said lamb feedlots could use chickpeas or faba beans, but preferred narrow-leaf lupins with their higher protein content. Mr McDougall said he believed growers in northern NSW would be keen to plant forage oats on the first available rain as a means of generating feed into the autumn. “We’ve got enough pasture to get us to April, but we’re all looking for feed to get through April-May and onwards. Prior to the seeding of winter cereals for cash crops, Mr McDougall said rain in February-March would allow autumn forage to be planted, and this which could take some pressure out of the feed market.